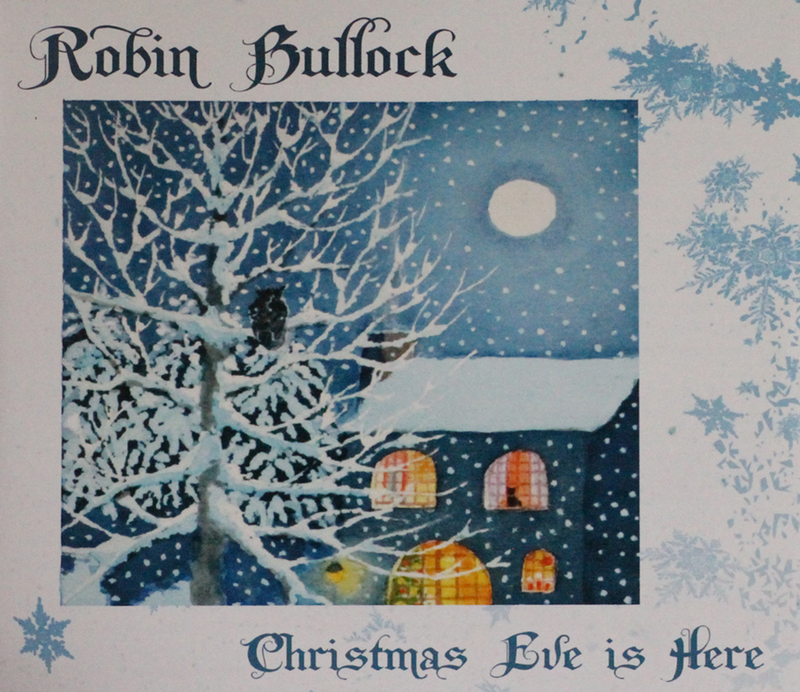 Robin’s eagerly-awaited second Christmas CD combines soulful guitar solos and duets with spirited cittern and mandolin romps, on holiday carols, hymns and dance tunes spanning over 700 years. Includes “It Came Upon a Midnight Clear” (featured on National Public Radio), “O Holy Night,” “In the Bleak Midwinter” and many more timeless winter classics, interpreted as only Robin can. The first of these melodies is attributed to Beethoven’s favorite composer, the great George Frideric Handel. The second is an English hymn composed in 1849 by Henry J. Gauntlett; I almost chose not to record it after hearing Alex de Grassi’s wonderful solo guitar version on A Windham Hill Christmas, but I changed my mind after a bit of encouragement from Alex! “The First Noël” first appeared in print at the same time as “Tomorrow Shall Be My Dancing Day”: in William Sandys’s 1833 collection Christmas Carols Ancient and Modern. (1833 was also the year the Martin Guitar company was founded…it was a good year for traditional music!) The lyrics to “Good King Wenceslas” were written by John Mason Neale in 1853, celebrating the Parton saint of the Czech Republic, King Wenceslas of Bohemia (c.907-929). The tune, on the other hand, can be traced back to the 13th century as a spring carol entitled “Tempus Adest Floridum” or “Spring Has Unwrapped the Flowers,” and is also played in France as a bransle or circle dance, so my French duo partner and good friend Michel Sikiotakis tells me. That being the case, I approach it here as more of a rowdy medieval dance than a quiet, reverent carol! This 16th-century melody by Giovanni Gastoldi was the basis for two very different musical works: J.S. Bach’s organ prelude for the New Year “In dir ist Freude” (“In Thee is Gladness”) and Thomas Morley’s decidedly hedonistic English madrigal “Sing We and Chant It”…both of which make it a logical choice for a Christmas album. A pair of traditional French carols, the second of which began life as a dance tune in the 16th century and became a Christmas carol early in the 20th century with the addition of English lyrics by Charles Wood. The first tune is a wassail from the town of Gower, Wales. Wassailing was the traditional wintertime practice of going from house to house with a bowl of strong beer, toasting the inhabitants with song, and in most cases extorting more drink and food at each stop to keep the party going. The second tune is an Irish slip jig found in the landmark collection O’Neill’s Music of Ireland, though I first encountered it on Malcolm Dalglish and Grey Larsen’s 1982 album Thunderhead. It has no particular connection with the season, but it fits nicely with the wassail, which is a good enough reason to include it here! The first carol in this medley is one I learned quite recently, from a choral arrangement by the incredible keyboardist and composer Paul Halley. I follow it with a traditional Polish carol lifted from the old Methodist Hymnal. A chorale from J.S. Bach’s Christmas Oratorio, 1734. Another classic French carol, this one composed by Adolphe Adam in 1847. My arrangement appears to show some influence of the Hawaiian slack-key guitar tradition. These things happen. The story is well known: on Christmas Eve 1818 at St. Nicholas Church in Oberndorf, Austria, choirmaster Franz Gruber quickly composed a melody to a poem called “Stille Nacht, Heilege Nacht” by the priest Father Joseph Mohr, and the two men performed the new song at that evening’s Midnight Mass accompanied by Father Mohr’s guitar (because the organ was broken, some say). Consequently, we guitarists tend to consider this carol a special part of our heritage. This slightly less than traditional version draws its stylistic inspiration from, among others, Al Petteway and Amy White, Paul McCandless, and Gordon Lightfoot. Gustav Holst’s melody to a text by Christina Rossetti was first published in The English Hymnal in 1906 – and 89 years later provided the title for a very entertaining film by Kenneth Branagh. Christmas always meant caroling when I was growing up in suburban Washington DC, and now the custom has taken root in the village of Méricourt, France, close to where I live these days. (It’s possible that I might have had something to do with that…) This song was the traditional “farewell” that groups of carolers sang as they disappeared down the street, so it seemed an appropriate way to conclude this album too. I wish you a merry Christmas and a happy new year.